At the start of each school year teachers find themselves reviewing the same math and reading skills in the fall that students learned the previous spring. No matter their age, students simply forget a portion of what they learn without consistent practice. Consider how, as a parent, you fail to remember much of what you learned from K-12. While it might not be an issue if you can remember one particular obscure equation, basic math and reading skills still need to be kept fresh. So, what can a family do to ensure that those math and reading skills stay up to par? Adding learning to a summer schedule doesn't mean you can't still have fun, as learning doesn't always have to be a daunting task. Below are a few suggestions to help your student stay sharp while still enjoying the spoils of summer fun. There are a plethora of learning games out there that are enjoyable for both parents and students. Math games can range from the card game Make 24 (where one must add, subtract, multiply and divide their way to 24), to a fun family game of Monopoly. Making game night a regular part of your summer can help to keep your student sharp while still enjoying summer. Adding math based board and card games to your activity list is an easy way to keep math skills fresh. While you don't actually have to befriend a librarian, it is a good idea to take advantage of your local library during the summer. 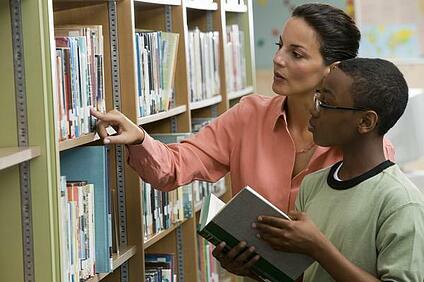 Most libraries offer a variety of summer activities, including readings, games, book drives and reading marathons. A weekly trip to the library will keep the act of reading consistent and you might just find that spending some time in that lovely quiet, air conditioned space is a nice retreat from the summer heat. Summer is a great time to get your student out and learning about the world around them. A variety of charities and organizations offer opportunities for students and parents alike to get outside building homes or community gardens. Such activites are not only a great way to give back, but they also will teach your student things like horticulture, geometry and measurement. There is no shortage of activities and school based programs to keep your student learning. From art and science classes to college preparatory courses, these programs are typically short-term and affordable. Students will not only have a chance to stay social in the summer, but they are also able to continue learning. Don't underestimate the power of spending one day a week or month visiting places to learn. One of the reasons we have museums, parklands, zoos and forest preserves is to help the public to keep learning. 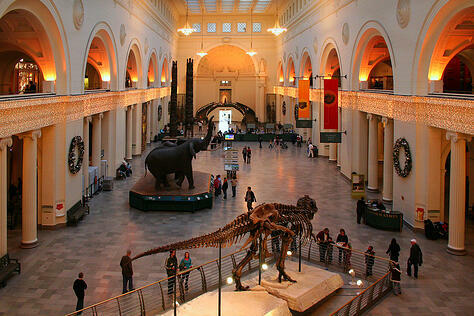 Check out the local museums, parks and zoo websites for ongoing events throughout the summer. Zoos and botanical gardens often offer one day courses of fun for students of all ages. Museums offer similar programs. Yet, a family might find an opportunity for learning a lot about nature by just visiting your local forest preserve or park. Any excursion can be an educational one, so consider the type of lesson you want your student to engage with while on these excursions. Don't underestimate the information you can find on the websites for many of these places. Often they offer ideas on different ways to enjoy their facilities. While there are a variety of workbooks and worksheets you could task your student with completing over the summer, remember that learning doesn't have to be confined to a book. Challenge your student with fractions as you are measuring for recipes, download a geocaching app to your phone or tablet and take your children on grand treasure hunts right outside your home. Overall, the point here is to remind you that while summer is a break from school, that doesn't mean it should be a break from learning.